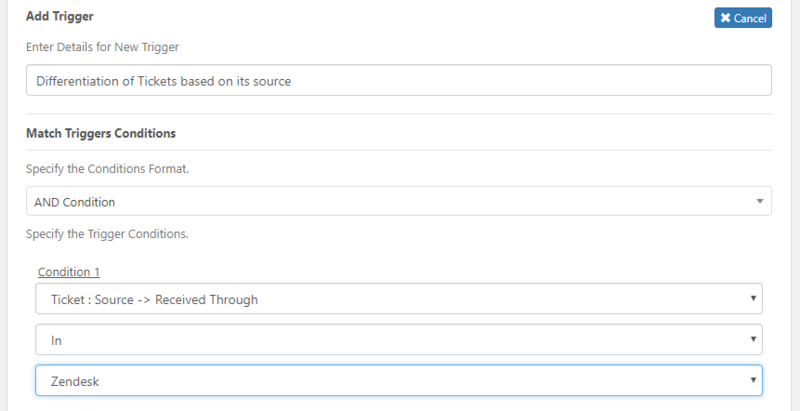 We can’t stress enough on the importance of automation in a helpdesk plugin. Starting with Chatbots, automation has reduced the repetitive tasks of Support Agents and have thus increased their efficiency by letting them focus on the right task. “Triggers and Automation” is one of the most prominent features of WSDesk. This conditions based action has diverse usages. 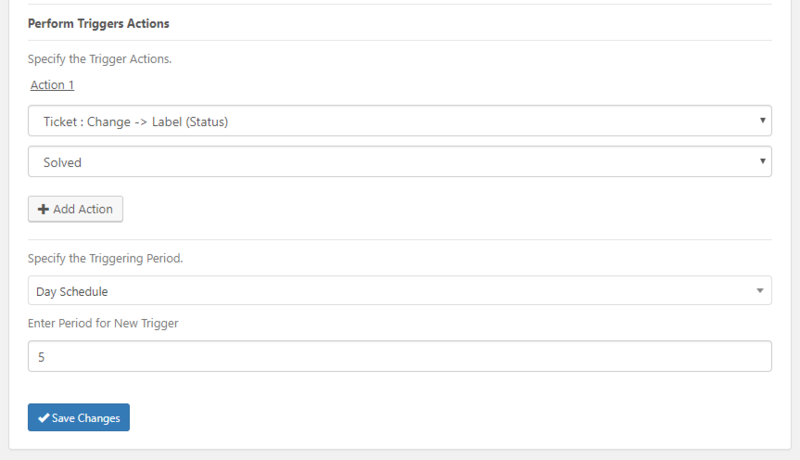 You might be well familiar with “Auto-assigning”, “Email Notification” as parts of WSDesk Automation. But, let me tell you, there’s more to this! This article aims to tell you about several other possible actions with the “Triggers and Automation” feature. When your incoming ticket count increases, you might find it difficult to keep track of every single ticket. Situations may arise where you start missing tickets. That’s when you can set up reminders to pending tickets. 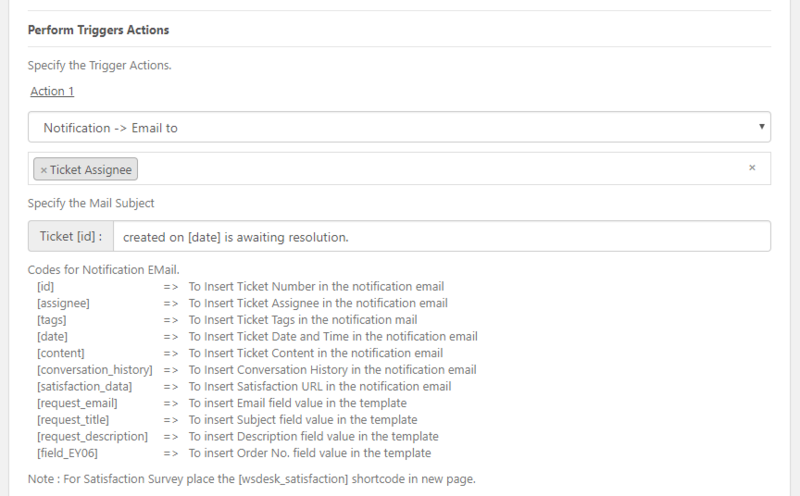 And, you can schedule the Action to be taken after a certain period of time with an email subject “Ticket [id] created on [date] is awaiting resolution. This step would save you from the recurring task of going through every ticket and mark them as solved manually. Trigger period can be set to “Day Schedule” with the period of 5 days. How a customer has raised a ticket says a lot about its priority. 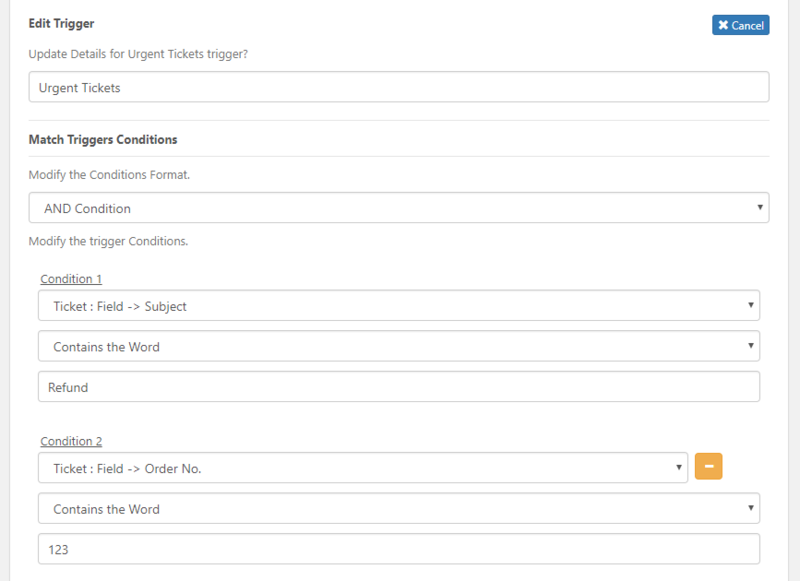 WSDesk can receive tickets through 3 sources – Email, Form and Zendesk. If you have any questions on how Zendesk comes into the picture, you can go through this article. 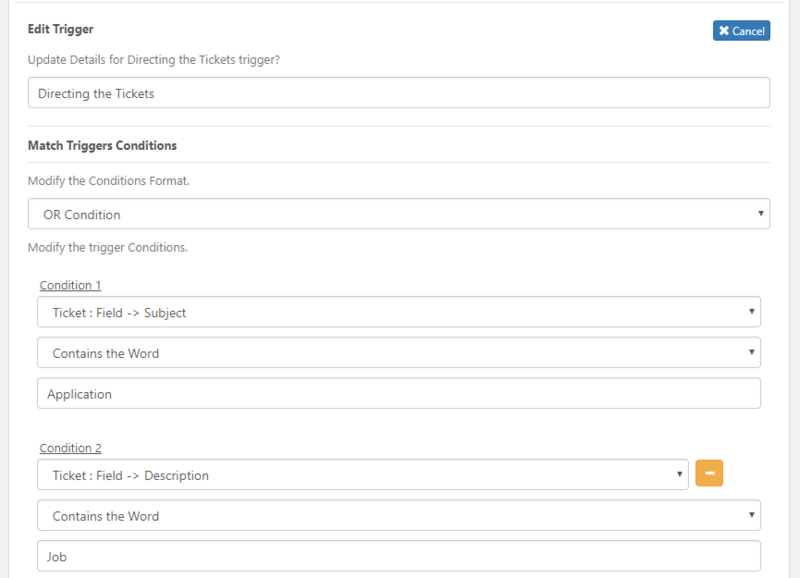 Based on any word in the ticket Subject or Description, you can direct the ticket to the right destination. For example, when someone inquired about a job vacancy in your company. Then, you can set up some “OR” conditions for words in Subject and Description like “Job”, “Application”, “Position”, “Vacancy”. 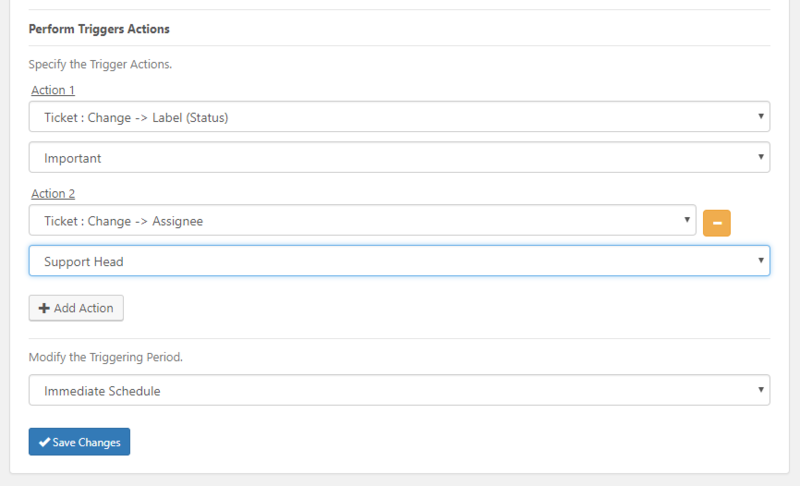 On creation of tickets which would have any of these words, you can set the action of assigning them to “HR Dept”. Thus, tickets containing any of these words would be directly delivered to the inbox of the HR. Similar thing can be done with the “Sales and Marketing” dept. too. You might want to check out this article on what to automate and what not to. For example, if your company has a 30 days no question asked refund policy, then you might want to handle the refund request received from recent customers on high priority. For that case, you can set up condition with Order number AND Ticket Subject/Description containing the word “refund”. 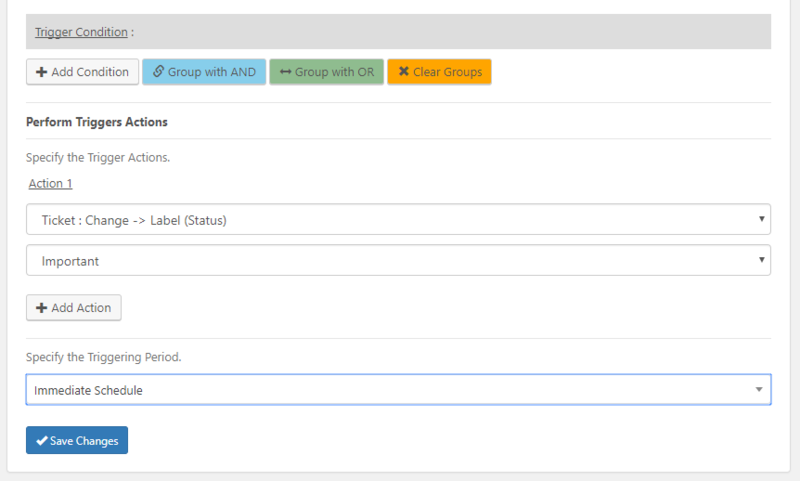 As an “immediate” action, such tickets can be marked as important and be sent directly to the Support Head. 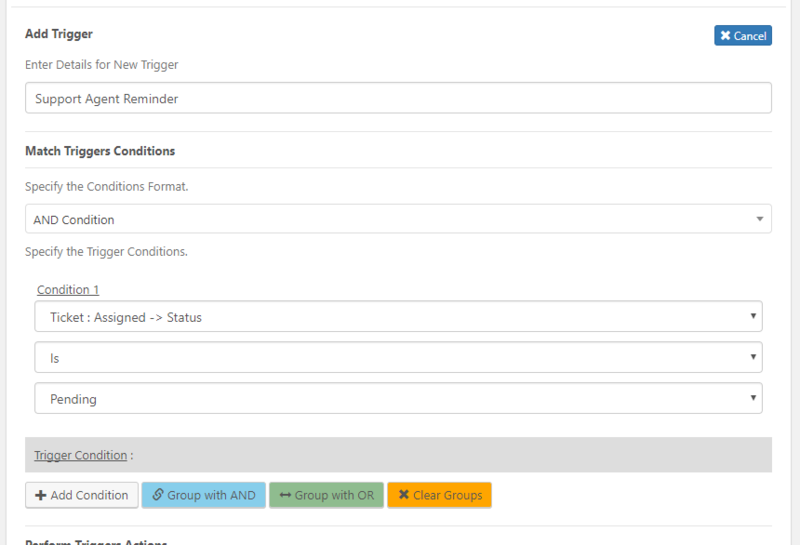 There’s unlimited conditions that can be created with the “Triggers & Automation” feature of WSDesk. Let us know in the comments how you are using this feature to your advantage.